Ian is your typical teen. Young small and awkward. His life is one of quiet, and sometimes angry reflection. The ideal summer for him would be hanging out on the couch with his strange aunt; but she and uncle John have different plans. A week long trip to Camp Manna. Character building, friend making and all the stuff camp is supposed to be - with a twist. The twist is that this camp is a Christian retreat, and one that's not just 'slightly' framed in religion. Camp Manna may be all about faith in terms of theme, but all the regular fun activities still apply. These activities include the Olympic scaled grande finale: The God Games. Everything points to an awesome week long adventure, with a fun filled finale on the horizon, except one glaring issue. Ian is an atheist. This lack of belief stems from an experience when he was younger. One that left him an orphan. Buckle up. It's going to be a bumpy week. For those who remember, the 1980's and 90's had more than a few camp films that all used essentially the same formula. Camp Manna is no different. It even self promotes itself as a throwback title. This particular story works because of the absurdity of it's characters. Lead by Gary Busey, as the off kilter camp leader, Manna mirrors real life camps with it's inclusion of sub-groups. Camp houses that represent cliques of people. The losers. The nerdy and the popular. Many of us remember high school being this way but for those who have attended camp, we know it's just more of the same. This setup allows Camp Manna to forward it's narrative and also allows for some really funny scenes. As it was back in the 1990's so it is today. Camp=comedy. The religious aspects off the title may cause alarm to some of the less religious people looking for a fun filled 90 minutes. It shouldn't. It 'is' clear that this film represents Christian values and traditions, but it's never preachy or in your face. Eric Johnson and Eric Machiela pay tribute to the Christian faith but don't alienate everyone else. This is a title you can sit back and laugh with. Luke Klein, as our protagonist Ian, was a great choice for this character. There are scenes where he literally says nothing, and implies everything. He happens to be in good company because Manna features some darn fine acting chops from 'all' the cast. In many ways, Manna far surpasses it's generational inspiration in terms of acting. Even the ridiculous becomes plausible thanks to some good performances. You know what this title is about. You know what will happen. On one hand that could make for a run of the mill title, but on the other hand it allows resources to be given to the presentation and style. 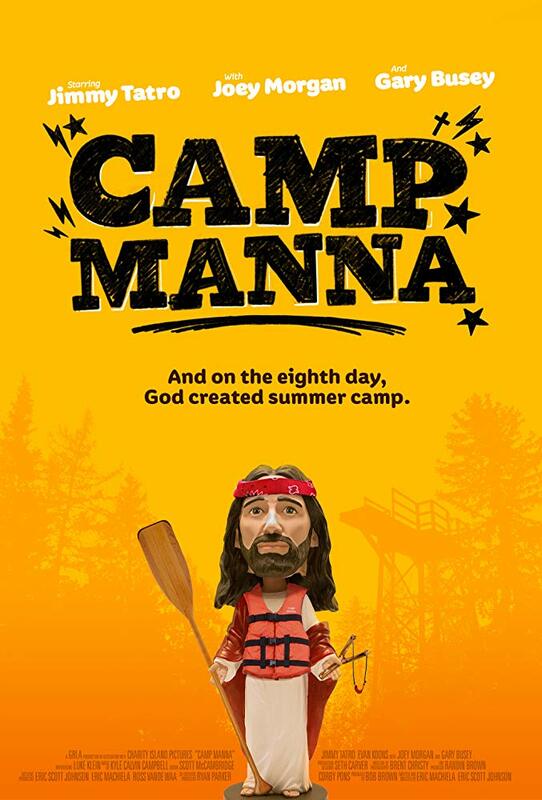 Camp Manna promises one thing above all else - an entertaining 90 minutes. It delivers in almost every way. Those who remember watching these types of movies will probably love this for it's nostalgic value. Maybe even cause a few to start flipping through their movie collections, to find some of the camp movies of the era. For the younger viewers, Camp Manna offers up a heaping plate of fun and silly. A message delivered with comedy. Hallelujah.